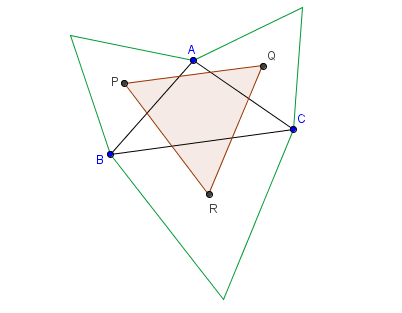 In the applet below, ABC is a triangle whose sides are also sides of equilateral triangles that contain the green line segments. Points P, Q, and R are centroids of the equilateral triangles. 1) What do you observe about the figure? 2) Move points A, B, and C. Are your observations still the same? The Napoleon theorem states that if equilateral triangles are constructed on the sides of any triangle, either all outward, or all inward, the centers of those triangles themselves form an equilateral triangle. Staying abreast of changes in tax laws can be difficult. But not if you have Taxpay Payroll Tax Service from Paychex Flex login. Taxpay provides federal, state and most local payroll tax calculations and filing. One of the first things you should do before setting up a complex network is draw out a Visio network diagram. This is a drawing of the layout of the network’s architecture; it sets out the structure of the network using a range of symbols to represent the different devices on the network, with lines showing clearly how these devices are connected. Here is a review for an accepting process to a university.